Paylocity is an online payroll and human capital management solution for small and mid-sized businesses. The solution offers various features including payroll, human resources, administration, time & labor, and talent management. It has self-service capabilities which enables employees to access their information such as pay, benefits and time-off details. Paylocity offers various tools including QuickPay (to process payroll in batches), paycheck calculator, third-party direct deposit and check-creation capabilities, and Affordable Care Act compliance. Other human resource features include reporting and analytics and on boarding service. Users can also extract information from 100+ standard reports. It has an easy to use HR insights chart, ACA Reporting, and Point-in-time reporting. Users also have the option to get access to tax experts who can help them in tax filings and generate quarterly & year-end reports. Paylocity helps users to automate the benefit administration. Users can opt for time & labor solution also, which helps in managing time and attendance data for employees. Paylocity is available for all industries across North America, and is also accessible via Paylocity mobile app. 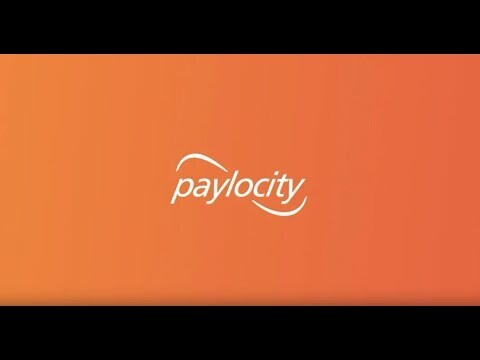 Paylocity Web Pay is so easy. I love the fact I have access to this portal from anywhere. This option allows me to transmit payroll, run reports, update records from home, vacation, etc. Adding/deleting new earnings/deduction codes can be done by me. I do not need to get the approval from Paylocity to update my account settings. Employees can easily find their way around the portal, if used frequently. It's a slow learning process but eventually they embrace it. Managers have access to their team's information so instead of me providing the info they need, they will log into the portal and look for the info. Report writing is very simple. I am able to customize my own reports. I still export into Excel and format it, but overall, pulling the info I need is easy enough to do. There is a phone app for Paylocity, which is employee friendly! This is a great option if you're not in front of a computer to update personal info and submit time off requests. Reports live on the cloud, so no hard copies are provided when payroll is transmitted. One thing I like least about this product is managing time off. We use a different system to track time and unfortunately the two systems do not talk to one another. We Pay does allow for me to keep into account the employee's time off to reflect their pay. Unfortunately, because of our industry, the time off submitted is always not so accurate so the system is set up to only track time off requests. I manually have to enter taken time - info based from extracting data from other system being used. I don't know if this system offers mass updates. I don't know if I can change a deduction amount across the board. For example, I had to increase each employee's medical premium by going into their records. It would have been nice if I had the ability to mass update all the employee's premiums based on specs. I would love it if I can edit a canned report. This option is not available. Does what I need it to but there are better options available. It processes payroll down to the local level accurately and on time. The system can also track employee performance which we use for routine employee reviews. It is nice having an all in one solution for my HR needs.The customer service is fantastic and really easy to work with. I like the company. As to the software, it does what I need it to. They process the payroll on time and without errors. Getting it setup can be time consuming but once it is setup, fairly easy to use. I am also an internet based business with employees in several different states. They are able to process payroll for all of the tax jurisdictions down to the local level. The software saves me countless hours every month/year. The customer service is fantastic and really easy to work with. I like the company. As to the software, it does what I need it to. They process the payroll on time and without errors. Getting it setup can be time consuming but once it is setup, fairly easy to use. I am also an internet based business with employees in several different states. They are able to process payroll for all of the tax jurisdictions down to the local level. The software saves me countless hours every month/year. The software doesn't 'just work' for a couple of reasons. The first, you can screw the system up and there are plenty of ways to do so. You have to know how it works, so the system isn't dummy proof. Second, there are a few items where you have to game the system to get it to work. As in, if you don't put a check mark here it won't do what you want but it isn't intuitive enough to know you need that check mark. It isn't the best for small business. And I do get the feeling the system is built for larger enterprises. There are a few minor features missing that I have used in other systems that help run a small team. Like being able to sync my outlook calendar to PTO requests or birthdays. You can export those dates, but it won't automatically show up in your calendar like other systems do. While there is a portal for employees, my employees have a hard time understanding how to use it. It isn't super complicated but also not super intuitive. I don't have a problem as the administrator of the system because I am in there all of the time. But for employees that might log in once every couple of months, it can be kinda annoying for them. I enjoy Paylocity, but their have been multiple instances that I've submitted something to my support team to take care of and it never got done, so I had to do it all manually myself. This included Schedule implementation of PTO/Sick Accrual balances, ACA reporting fixes, etc.I like that Paylocity has moved us from manual time cards to an all electronic punching from a kiosk that spreads the company responsibility to managers and employees instead of relying on one person to manually calculate and monitor everything such as PTO/Sick/missed Punches/ absences/ OT rounding/ACA requirements etc. The program gives you a lot of good reporting features and processing payroll is relatively intuitive. Have very kind support staff to call and the wait time to speak with someone is very quick, unlike some other companies that I have worked with that took 45 minutes to speak with someone regarding our payroll which is time sensitive. They also do not rely on D&B ratings for Net Pay Liability Cap before requiring reverse-wires. I like that Paylocity has moved us from manual time cards to an all electronic punching from a kiosk that spreads the company responsibility to managers and employees instead of relying on one person to manually calculate and monitor everything such as PTO/Sick/missed Punches/ absences/ OT rounding/ACA requirements etc. The program gives you a lot of good reporting features and processing payroll is relatively intuitive. Have very kind support staff to call and the wait time to speak with someone is very quick, unlike some other companies that I have worked with that took 45 minutes to speak with someone regarding our payroll which is time sensitive. They also do not rely on D&B ratings for Net Pay Liability Cap before requiring reverse-wires. Their portal has a lot of functionality, but most of the time I am having to call the support team to check on why something didn't work/get implemented and they have to guide me through a process that was never brought up during original implementation. Some times when I request new schedules or fixes we get incorrectly billed and the fix never gets completed and no follow-up after they inform that they will look in to it further. I used Paylocity everyday, multiple times a day! The "all in one" concept is something that many (mid-sized) employers will be drawn to with Paylocity. They provide strong in payroll and automated benefits administration functions, we also use Paylocity for all of our HR needs (HRIS, self service portal, time cards, etc.). I am very new to the product and transitioned with little/no training. The online training options work well, but the major plus is Paylocity's customer service. The "all in one" product allows for one-stop-shopping for any HR administrator who is in charge of data management (HRIS), payroll, and/or benefits. Many of the functions are very easy to use. Their customer service is really phenomenal. They are extremely knowledgeable, courteous and VERY patient. This is true on both the HRIS side and benefits side. We also just "installed" their new Onboarding tool (including E-verify) and it works seamlessly. The "all in one" product allows for one-stop-shopping for any HR administrator who is in charge of data management (HRIS), payroll, and/or benefits. Many of the functions are very easy to use. Their customer service is really phenomenal. They are extremely knowledgeable, courteous and VERY patient. This is true on both the HRIS side and benefits side. We also just "installed" their new Onboarding tool (including E-verify) and it works seamlessly. Our company has an international reach with 2 offices outside of the US. Paylocity doesn't extend past the US for HRIS and/or payroll. Although those offices are small, we continue to find "work arounds" for the this limitation. Also, we have a fairly unique time keeping system and on several occasions we have "stumped" Paylocity with questions regarding our time cards/schedules, specifically not auto generating new schedules after payroll is run. I would recommend Paylocity for more tech-savvy companies, as it relies heavily on users to take control of their time off requests, sick days, and ensure the accuracy of their time card. Personally I like it because it removes the need to see an HR person for everything, but for those employees who are uncomfortable with technology it can be a difficult transition.The support is mostly good, and the implementation was relatively painless. They were able to import the data from our previous payroll processor and they have been flexible about adding additional policies and changes we've needed since our initial switchover. The support is mostly good, and the implementation was relatively painless. They were able to import the data from our previous payroll processor and they have been flexible about adding additional policies and changes we've needed since our initial switchover. Since our initial deployment of the service, we've had some issues getting support on important issues, like new state laws that impact our payroll processing and time-off accrual rates. This can be frustrating because someone will tell us they are working on it but we might go 2 weeks before getting any resolution to what should in theory be a relatively simple change. Paylocity is capable of integrating with most of the retirement plans, general ledger and time and attendance applications. Users can take help for filing taxes directly from experts via Paylocity Web Pay. It allows users to generate insights charts, view real-time analytics and can schedule reports to be automatically generated. Users can access their Paylocity personal data via a self-service portal. Through its custom announcements, enrollment rules, and eligibility groups, users can ensure the complete enrollment of employees. Below are some frequently asked questions for Paylocity Web Pay. Q. What type of pricing plans does Paylocity Web Pay offer? Q. Who are the typical users of Paylocity Web Pay? Q. What languages does Paylocity Web Pay support? Q. Does Paylocity Web Pay support mobile devices? Q. Does Paylocity Web Pay offer an API? No, Paylocity Web Pay does not have an API available. Q. What other apps does Paylocity Web Pay integrate with? Q. What level of support does Paylocity Web Pay offer? Q. Which apps is Paylocity Web Pay compared to most often?